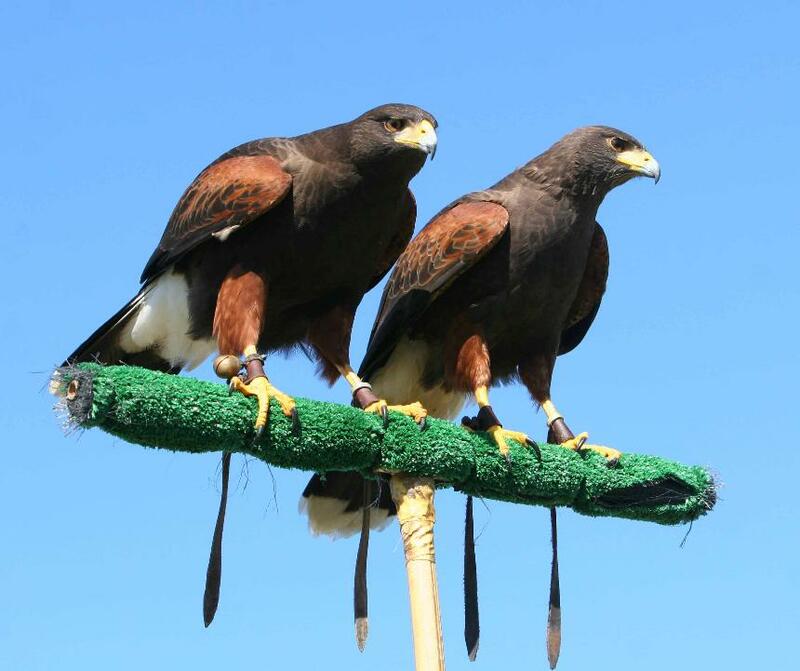 Coulson Harris's Hawks are all descendants of Malcolm and White Wing. Malcolm, son of the famous Sonora, was bred by Malcolm Edwards. White Wing was a passage Texas female and Tom's best hunting hawk of that era. Ten was an amazing, all-purpose, super-tame hawk flown by Jennifer. 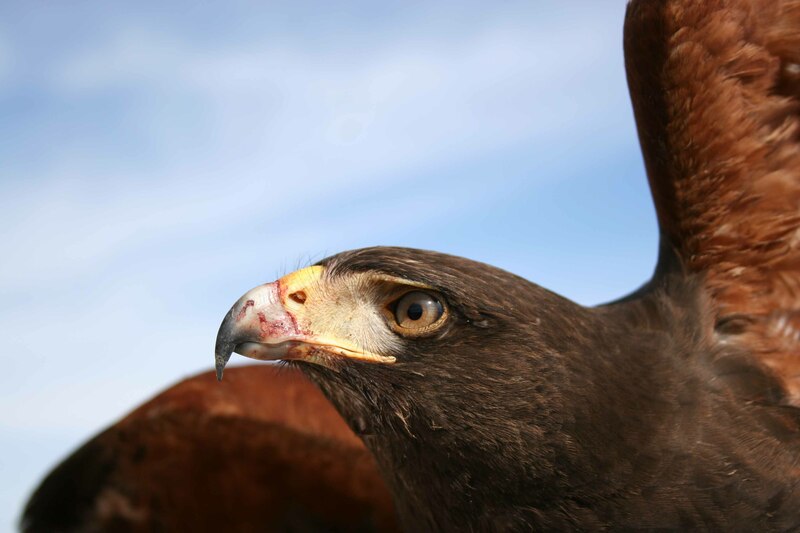 She is also the hawk with the 24-carat gold talon. Ten is the daughter of Lola and the granddaughter of Malcolm and White Wing. Five of our pairings include an offspring of Ten's: Isis, Shadow (male), Phish, Shadow (female), Clarice. Lola was Jennifer's best falconry bird for many years until she was retired for breeding. Lola is the daughter of Malcolm and White Wing. One of our pairings includes an offspring of Lola's: Rooster. WD-40 was a fantastic rabbit and jack hawk flown by Dan Pike. Dan also bred her. WD-40 is the daughter of Malcolm and White Wing. Some of her grandchildren are killing roe deer in the Czech Republic. Two of our pairings include an offspring of WD-40's: Rooster and Chaco. Moe is Brandon Casey's famous quail hawk. He has an extremely prominent keel and a lightning-quick flight style. Phish has a gentle disposition, and she is a very good jack hawk flown by Ken Jennings. Phish is laying eggs now (February 2019). We are now breeding Toby Bradshaw's pair: Chaco and Shadow. Chaco's parents are Jupiter and WD-40. He is Lola's grandson. 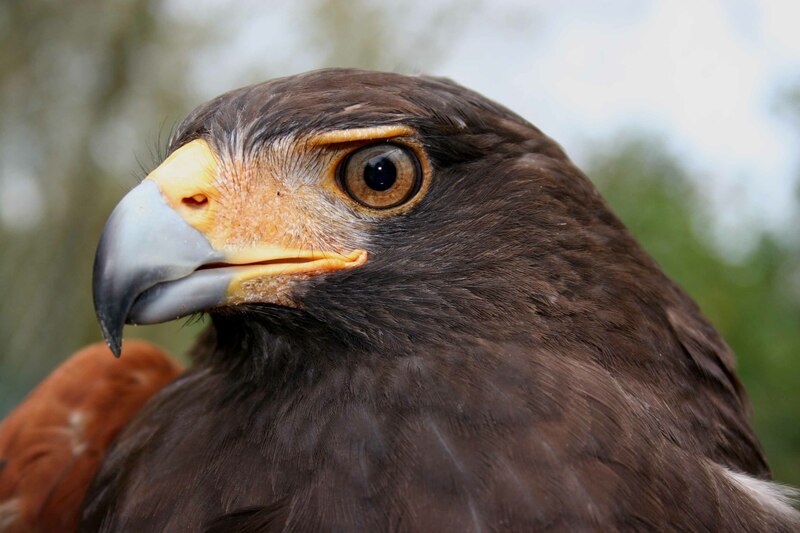 Shadow (female) is a phenomenal game hawk flown by Toby Bradshaw. Shadow is laying eggs now (March 2019). Clarice, is a fantastic rabbit and Pheasant hawk flown by Karl Linderholm. Milo, flown by Toby Bradshaw, is hell on cottontails. Jenn's exceptionally fast hawk, Dragon, is off of this pair. Clarice is laying eggs now (February 2019). Tank has a prominent keel and is very fast. He is out of Adrian and Sage (off of My Male and Lola). 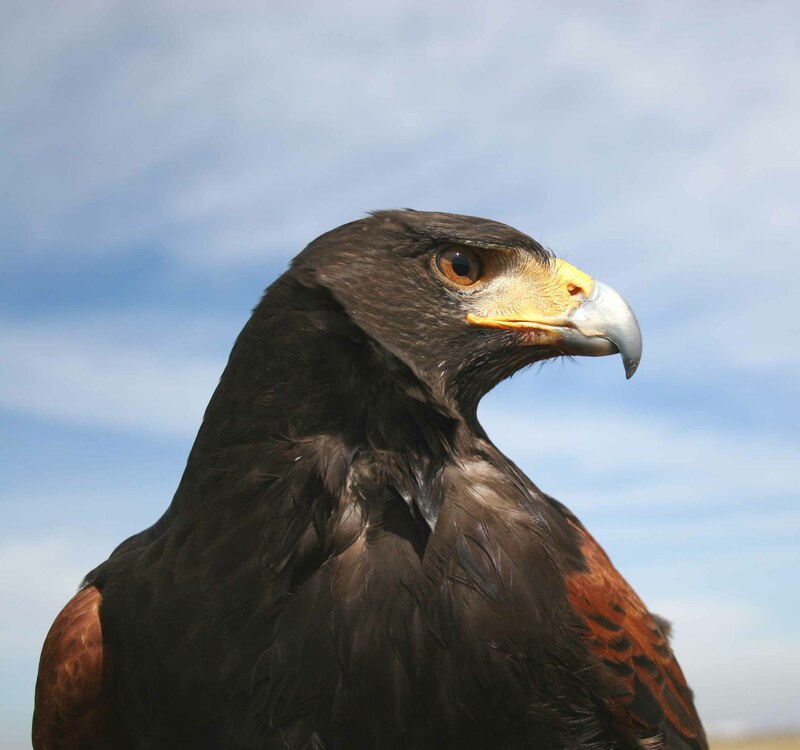 Sky was Jenn's best hunting hawk ever, retired for breeding because of a wing injury. Sky is out of Rooster (off of My Male and Lola) and Ariel. She has exceptional eyesight, takes long slips, and is the most aerial female we have ever seen. Banshee and Fay are off of this pair. Sky is laying eggs now (March 2019). Arrow has a prominent keel and is very fast. Tom has caught jacks, swamp rabbits, and cottontails as well as birds with him. He is off of Adrian and Cleo (off of My Male and Lola). Isis was Bob Armbruster's best hunting hawk ever. Isis is out of Ten and Ariel. She has exceptional courage, and took an incredible number of jackrabbits and cottontails. This pair if copulating now (Feb 2019). Shadow is one of the two best males we have ever encountered. Osh is out of Milo and Killer. 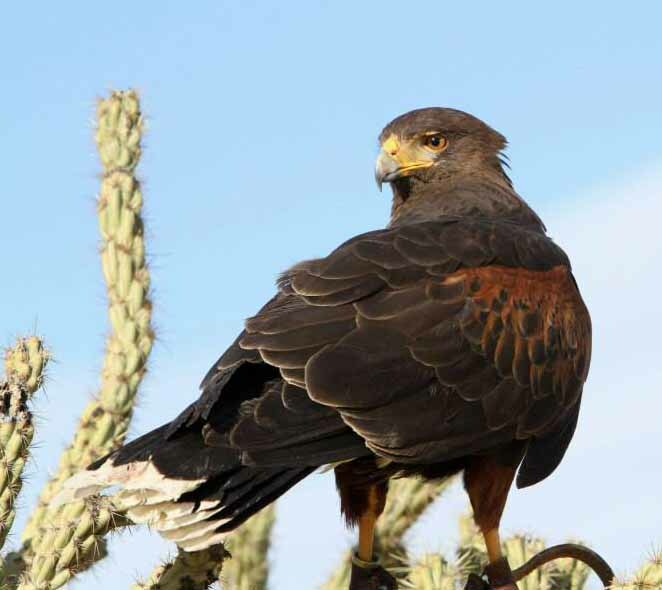 She was an exceptional hunting hawk who was retired for breeding. She exhibits the perfect combination of a gamey hunting hawk with an insatiable appetite and a gentle disposition. Osh is laying eggs now (March 2019). Rooster was flown by Jennifer. He is Sky's, Storm's, and Ernie's father. Ramona was an exceptional jack flown by Jennifer. Ramona is out of Zippy and Isis. She's a heavy hitter with a direct flight style. Her exceptionally gentle nature makes her a great hunting companion. This is a new pairing. While the pair is copulating frequently, we do not know if they will produce offspring in 2019. Elvis is a top-notch quail hawk flown by Jamaica Smith. He is out of Refugio (Harry McElroy's famous quail hawk) and Phish. Storm was flown by Tom Coulson and she is out of Rooster and Ariel. 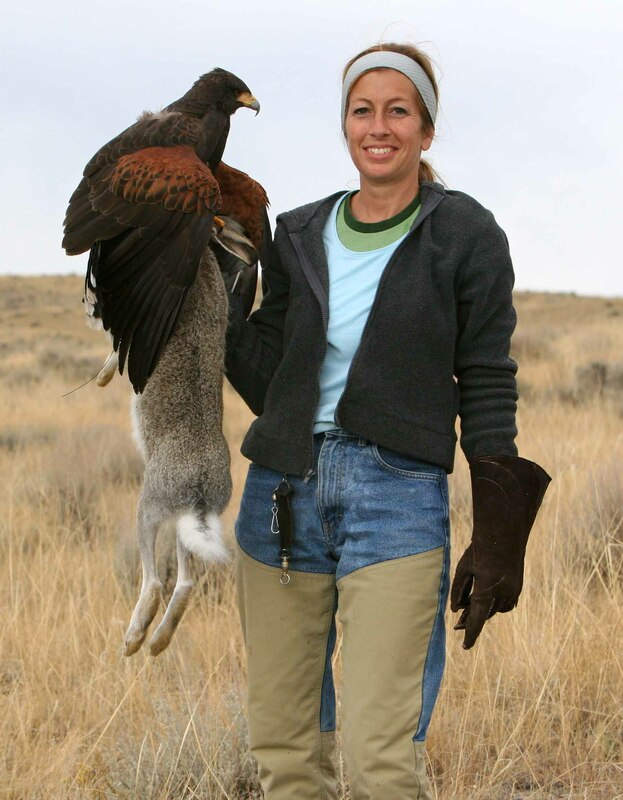 An exceptional hare and rabbit hawk, she was retired for breeding after multiple hunting injuries. While the pair is copulating frequently, we do not know if they will produce offspring in 2019. 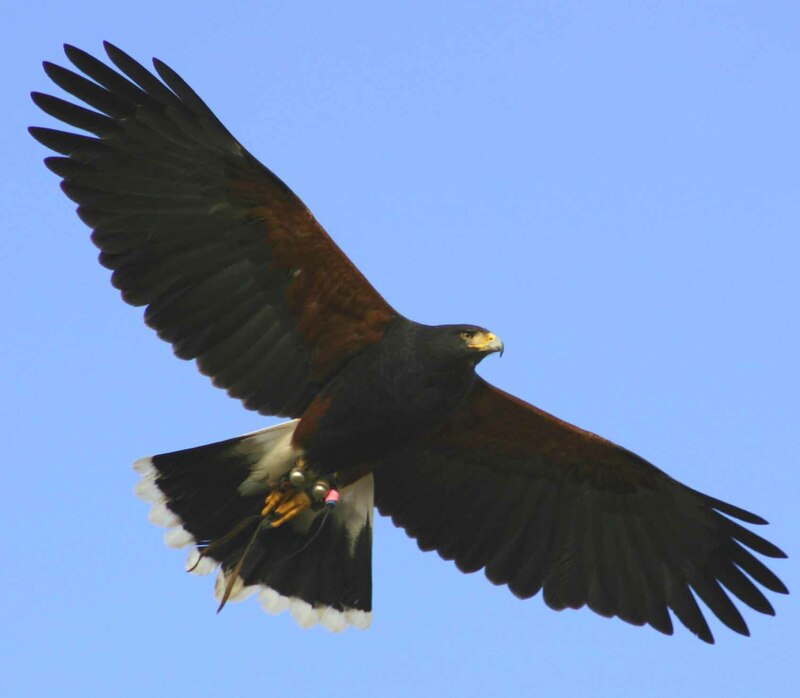 Register your Harris's Hawk or look up a hawk using its name or band number. The database is curated by Jennifer Coulson. We hope that everyone takes advantage of this service!